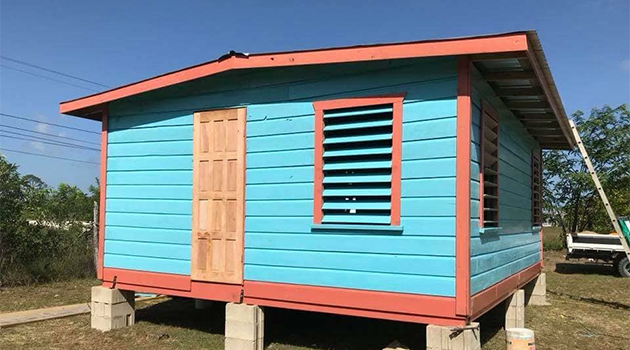 We have been given the opportunity to join our aunt, Melody, in Belize with Hand in Hand Ministries November 3 to build a home in honor and memory of our great aunt Freida. During this week, we will change someone’s life forever and in turn they will change ours. Our group will be building a new home from the ground up for an individual or family in need. Our aunt Freida lived her life in such an incredibly giving way where she would give you anything she thought you needed or wanted, even offering you the clothes on her back. She was a spunky woman who we adored and look forward to giving back in her name. The family we help will be a family just like our own. While there Lauren will also celebrate a special milestone, turning 21. This is an experience that we would like to share together; providing service to a family, building relationships with those traveling with us and those in the program, and of course celebrating another year of life. The funds donated will contribute to our trip as well as building a bathroom for the family to ensure safe housing and privacy. Thank you for taking the time to read our story and we look forward to sharing this journey with you.